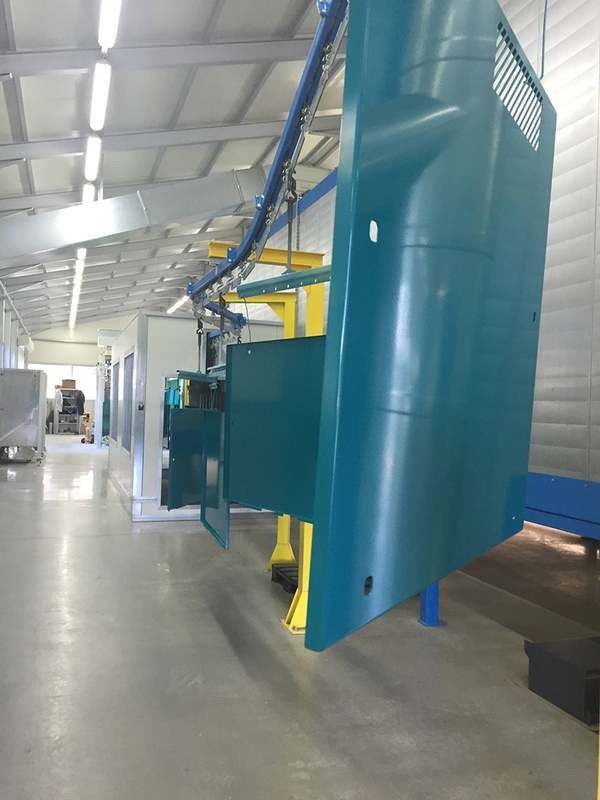 Our own powder paint line enables that products can be painted in the desired RAL colour. 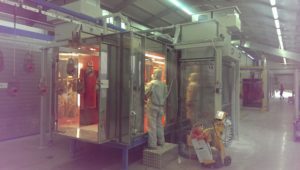 Pre-treatment – degreasing: The pre-treatment includes phosphating, work pieces degreasing in a tunnel and drying. 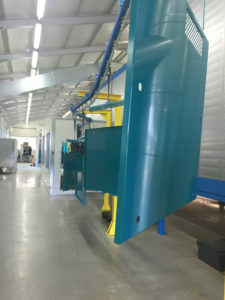 Electrostatic painting: The colour powder is applied in an aspiration chamber using a spray gun according to the principle of electrostatics. 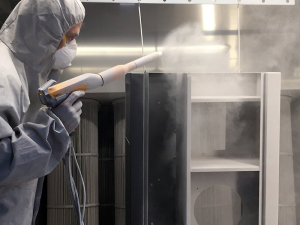 Powder paint in the spray gun is charged with a negative charge and because of the air pressure a cloud forms at the outlet of the spray gun. A grounded work piece itself attracts the colour powder of 80-100 microns. 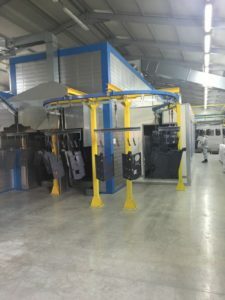 Colour polymerization: Once the application of colour is completed, a colour polymerization process begins, i.e. it is polymerized in the furnace, at a temperature of 180-220 ◦C for a period of 15 min. Do not contain volatile organic solvents – protection of the environment. Remains of paint powder (90%) can be reused by using filters to collect the paint. Resistance to mechanical and chemical influences. Easy maintenance of the product and its purification.